This hard to find, Kings Point, Minto-built Banyan villa is on a fabulous golf course lot with a pond view from the master bedroom and lanai. It's fabulously maintained throughout and has many upgrades. Here are just a few; upgraded air conditioning system, crown molding in the living/dining/kitchen area, verticell blind on the sliding doors, blackout drapes, solar shades on one side of the lanai, cherry kitchen cabinets with crown molding and a big closet pantry with pull-outs, lots of cabinets and a utility sink in the laundry room, ceiling fans in bedrooms, den, kitchen, master bath and lanai, pocket doors in the den, stainless steel appliances with double oven, a super quiet dishwasher, and much more. The Banyan is known for it's tandem garage that gives you extra space for a golf cart or storage. The gated community of Kings Point has amazing facilities, pools and clubs just waiting for you to enjoy. 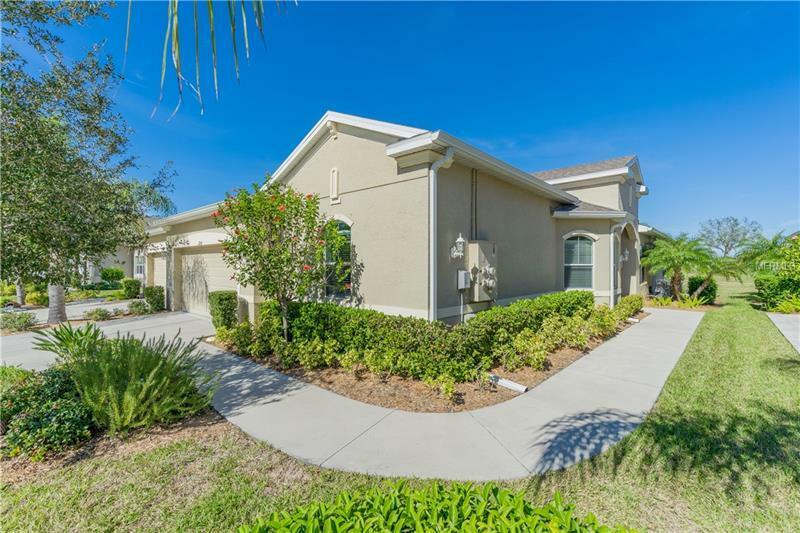 Located north of Sarasota and just south of Tampa, it is the perfect location for a convenient ride to airports, world class shopping, dining, professional sports and entertainment. With easy access to award winning, white sand beaches, this is the best of all worlds, but without the stress of traffic and big city life. Leave it all behind and enjoy your new life here in one of the country’s highest rated 55+ communities!